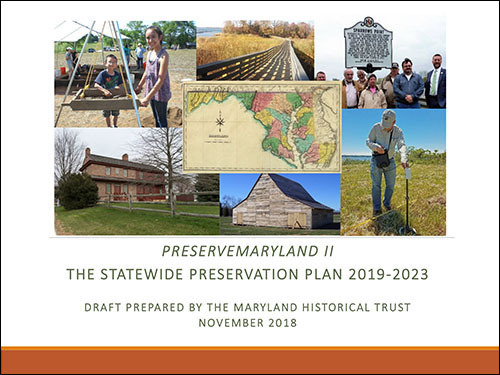 In early 2019, the Maryland Historical Trust will finalize PreserveMaryland II, the statewide preservation plan – a five-year guidance document for government agencies, non-profit advocates and others involved in historic preservation, archeology and cultural heritage. To develop the plan and make recommendations for the future, MHT convened an interdisciplinary advisory committee and has solicited feedback via open public meetings around the state, focus groups and surveys, as well as stakeholder interviews. Based on this feedback, PreserveMaryland II is, in many ways, an update and extension of PreserveMaryland, the current statewide preservation plan, with new and enhanced action items. Please feel free to review the draft goals, objectives and strategies for PreserveMaryland II, which will form the core of the plan. 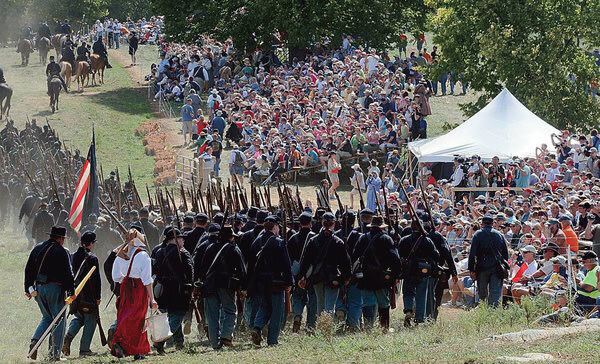 The final plan, which is being revised based on comments from the public, will include a report on PreserveMaryland (the current plan) and highlight examples of great preservation projects and activities around the state. Please note that, although this is a text draft, the final plan will be fully designed and illustrated.